Personal injury laws exist in most states to protect those who are injured by another person’s carelessness or negligence. They offer an accident victim a way to seek justice and compensation for their injuries. However, every state has its own unique set of rules that guide when, how, why, and for how much a victim may file a claim. 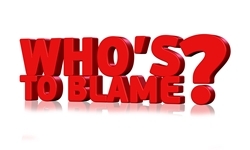 One key factor that is mandated by the state is the assignment of blame. Some states take a stance that disregards fault; individuals must carry their own insurance to pay for any injuries or missed work sustained in an accident. However, unlike some other no-fault states, Delaware law mandates that responsibility must be assigned in every situation. The state follows the rules of modified comparative negligence, which can have a serious impact on a victim’s ability to file a suit and obtain compensation. Under a system of modified comparative negligence, also known as modified comparative fault, every accident situation is examined to determine who was to blame. It takes into account that a victim may shoulder some of the responsibility for the accident, and it relieves the at-fault driver from having to pay to cover the victim’s own mistake. For example, if a driver fails to yield during a left-hand turn and hits (or is hit by) an oncoming car, the driver who did not yield would be the at-fault driver. If, however, the oncoming driver was traveling 5 mph over the speed limit at the time of the accident, it may be determined that he is also partly to blame for the crash. Under the modified comparative negligence rules, both parties would be held accountable for their role in the accident. Can I Still File a Claim If I Am Partly to Blame? In short, yes. Often, the at-fault driver is completely to blame and the modified comparative negligence does not come into play. Even in situations such as the previous example in which the parties share some degree of blame, it is possible to recover some compensation for your injuries. In this case, perhaps the judge rules that the at-fault driver is 80 percent at fault, while the speeding driver is 20 percent to blame. Then, any settlement awarded to the driver would be reduced by 20 percent to meet his portion of the fault. If the settlement was equal to $100,000, he would receive $80,000. However, if the court rules that the victim is more than 50 percent to blame, he would not be eligible to receive any compensation at all. Clearly, this system does leave room for some interpretation. The determining of fault is critical to a successful personal injury case, and the decision of the court with regard to fault can have serious consequences for the victim. With the stakes so high, it is important to present a clear, comprehensive case to increase a victim’s chances of a successful case and appropriate compensation. The victim must present a compelling case that proves the other driver was to blame for the accident. A skilled attorney can help victims secure the justice and compensation they deserve by investigating the accident, securing witness testimony, finding experts in the field, preparing court documents, and even trying the case in court if necessary. After an accident, victims are often dealing with the physical, emotional, and financial repercussions. They may be missing work and enduring painful medical treatments or therapy. They should be able to focus on their recovery, rather than complex and often frustrating legal matters. At the Morris James Personal Injury Group, we understand that this can be a difficult time, and we are here to help. Our experienced personal injury lawyers work hard to ensure that car accident victims secure the compensation they both need and deserve. If you or someone you love has suffered injuries in a Delaware car accident, you may be entitled to make a claim. Take a moment to fill out our online contact form, and a member of our team will respond promptly to answer your questions and help you get started protecting your rights.